Hilton Malta general manager Matthew Mullan, Julian Azzopardi and Kevin Naudi. The children and their carers were hosted to shopping and dinner. 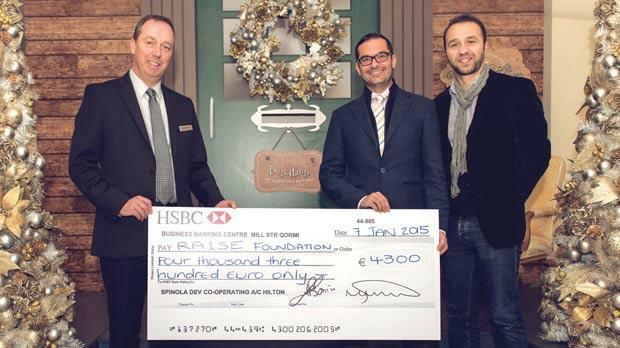 Hilton Malta, in collaboration with Ra1se, organised a shopping spree and dinner for children residing in homes. 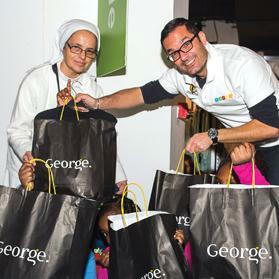 Over 80 children living at Angela House, Gwardamanġa, St Rita Home, Tarxien, Piccola Casa San Ġużepp, Valletta, and Fatima House and the Ursuline Creche, Sliema, were treated to an afternoon of shopping at George clothing store in Ħamrun. Clothing items were purchased with funds donated by the hotel’s management and money collected from the One Door Leads to Many Hearts campaign, headed by Active Enterprises Ltd creative director Kevin Naudi. The campaign involved the setting up of a lifesize Santa House in the Hilton’s lobby. Over Christmas, anyone visiting the hotel could drop by Santa’s house, have their photo taken with Father Christmas and post a small donation. After shopping to their hearts’ content, the children, their carers, and Ra1se volunteers were treated to dinner at the Oceana Restaurant.